The 10 inches of organic latex is comprised of a 6 inch medium latex core (ILD = 28) in the center, surrounded by two, 2 inch, soft pieces (ILD = 20) of organic latex. 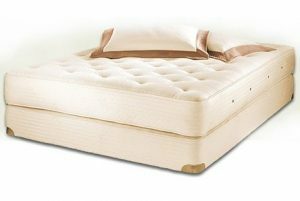 The natural latex is mold and dust mite resistant, and is Global Organic Latex Standard (GOLS) certified organic latex. 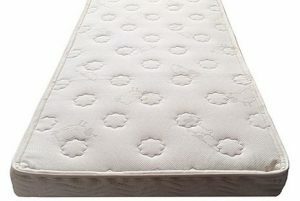 The symmetric design allows the mattress to be flipped. 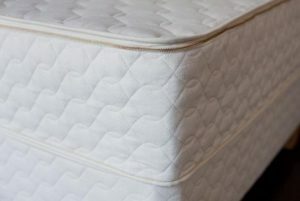 Surrounding the latex core is 100% organic cotton that is quilted to layers of organic French wool. 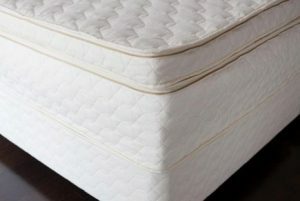 Read more about the natural and organic latex, wool, and cotton used to make this organic mattress. 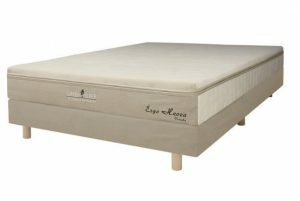 This mattress can be placed upon a platform bed or an adjustable bed, but if a box spring is required, the 8 inch Royal Pedic Double Diamond Box Spring is well made to resist sagging. 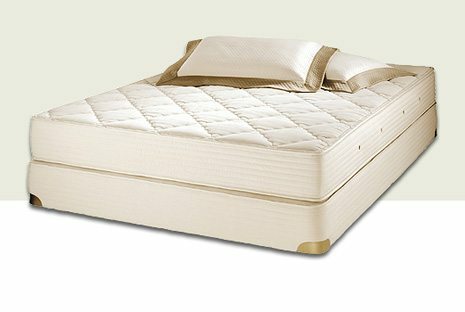 It has 22% more coils than the industry standard with extra coils in the center third of the box spring to support the body better. Made with extra heavy duty 8 3/4 gauge coil wire. 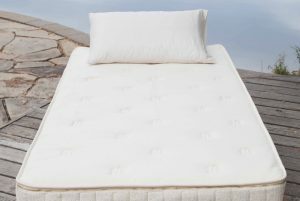 Coils are wrapped in organic cotton padding and French wool to provide a natural fire barrier. Brass corner guards are used. 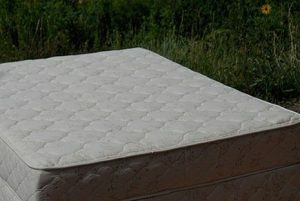 Please contact us for discount pricing on a similar Organic Royal-Pedic mattress not in the Premier line.